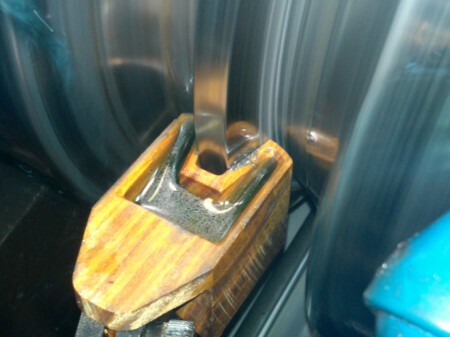 Note the small block of Lignum-Vitae between the crankshaft and the steady rest. Lignum-Vitae is very steel-friendly. It polishes steel which makes it ideal for industrial manufacturing. When manufacturing a crankshaft you need to do precise finish work and a product was needed to hold the shaft in place without damaging the shaft.  Lignum Vitae –Steel friendly and self-lubricating with no moving parts and no grease. Polishes steel – Does not: Score, wipe, or smear steel. Application required 10 hours of continuous operation removing scale and oil from rotating dies without changing the diameter or shape in a hot environment. 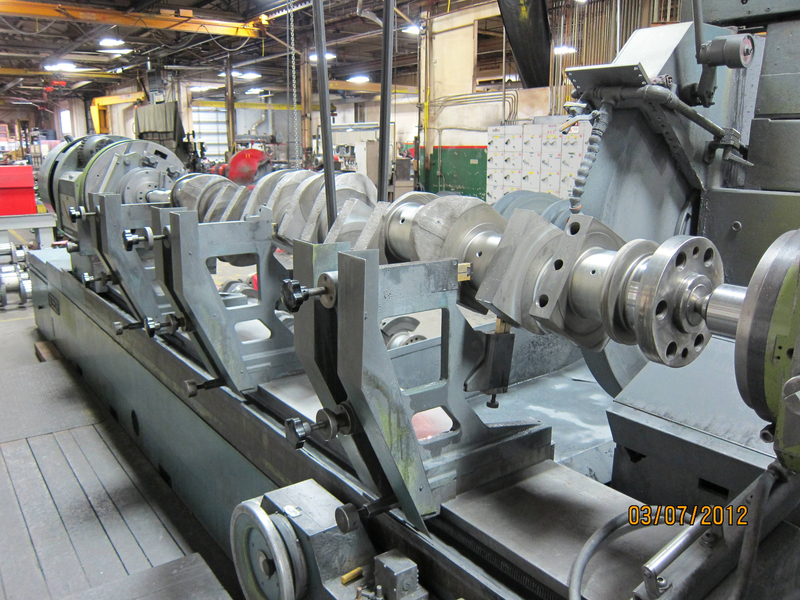 Process improvement division was challenged after 200 failed materials with $20,000 of spoiled pipe daily. Lignum Vitae –Steel friendly properties that is self-lubricated and polishes shaft without any grease. Created World Record by creating 40,000 lin. Ft. of 5”continuous welded pipe.